Q: You always suggest the “drop step” but then why is it that Olympic boxers always seem to jump around in the ring? A: This question was written in reference to my article about maintaining balance while moving where I suggested the “drop step”. Yes, I suggested to always try and drop your weight so that you are moving with more balance and more power because you are grounded better. Olympic scoring is based on points NOT damage inflicted. It doesn’t matter if you land a hard punch or a soft punch. 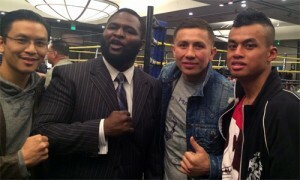 You are rewarded one point for each touch so that means five light punches will score more than two hard punches. Therefore, both fighters are likely to move in and out as fast as they can to score points even though the punches have less power. It only looks like they are jumping around because they have such high energy and fighting at a really fast pace. 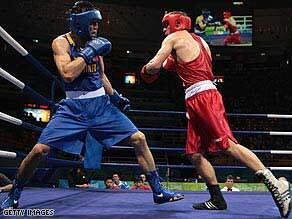 If you were to watch the Olympic boxers up close, you will see that they are moving quite swiftly and not jumping around as much as you perceive them to be. They are Olympic boxers, they know how to break the rules without sacrificing balance and power. In any case, it’s still not good to always be jumping around in the ring and the best example for that is if you watch professional boxers. I hope this helps! i appreciate for repling to my question.!! i have always wondered about it. your answer cleared my curiousity! 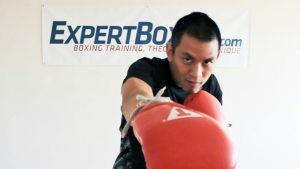 i would like to know if you are going to show your readers and fans a EXPERTBOXING PROFESSIONAL BOXING WORKOUT. Yes I will but that guide will take a lot of time writing and explaining. It’s not so easy and not yet finished. Website. Am a boxer from Nigeria. 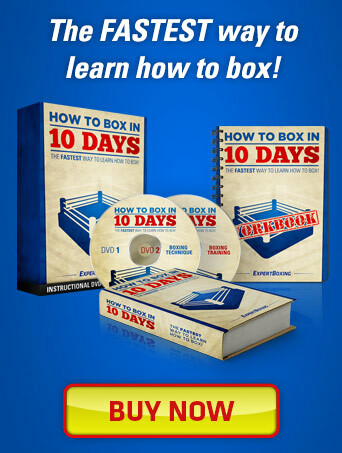 Read my guides on boxing defense, Tyrique.